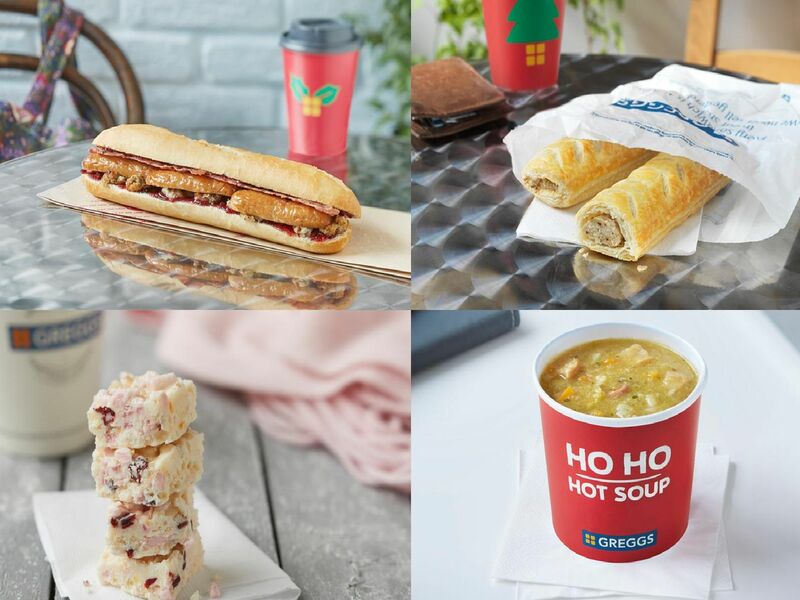 It may still be November, but the North East is already gearing up for Christmas - and its most successful bakery chain has already launched its festive menu. A twist on the ever-popular sausage roll, but with a combination of festive flavour: seasoned turkey breast mince with pieces of sweetcure bacon and sweetened dried cranberries. Both vegan and gluten free, this new addition to the Greggs festive menu is likely to go down a storm with many: a sweet treat of marshmallows with puffed rice, diced candied orange peel, sweetened dried cranberries and orange flavoured biscuit pieces in a vanilla flavoured coating. A twist on the classic pigs in blankets, this festive feast of a baguette is filled with pork sausages, sweetcure bacon, pork, sage and onion stuffing with a Cranberry and port sauce. Christmas Dinner also comes in soup form, with smoked bacon, chicken, turkey, sage and onion stuffing, pork sausage, vegetables, herbs and spices. This is a gluten free option.